Built for law enforcement officers and professionals, the compact Mini Shot M-Spec Reflex Sight is the perfect optic for competition shooting, hunting and LE applications on shotguns, pistols and AR’s. 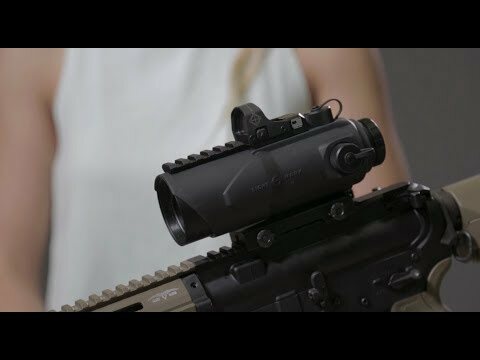 The kit includes a low profile mount for shotguns and pistols along with a riser mount for AR platform rifles. This rugged optic is 100% waterproof and features a durable aluminum housing with a steel protective shield. Doubling the battery life of the competition, the Mini Shot M-Spec’s extremely low power consumption provides 300-30,000 hours of battery life on one CR1632 battery, while its 12 hour auto shutoff prevents the unit from running out of batteries while you’re not using it. Easy windage and elevation click adjustments make zeroing the 3 MOA red dot reticle a breeze, even without any special tools. 10 brightness levels give shooters perfect reticle options from low light situations to the brightest days. An ambidextrous digital switch allows the M-Spec to be easily turned on and off by both left and right handed shooters.